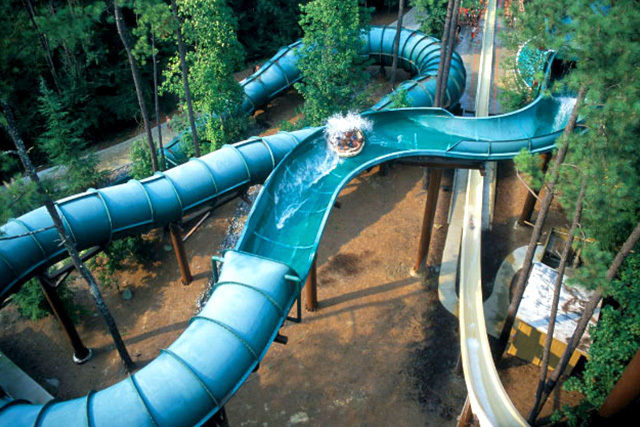 Six Flags White Water is a 70-acre water park located in Marietta, just off of I-75 and minutes from Downtown Atlanta. 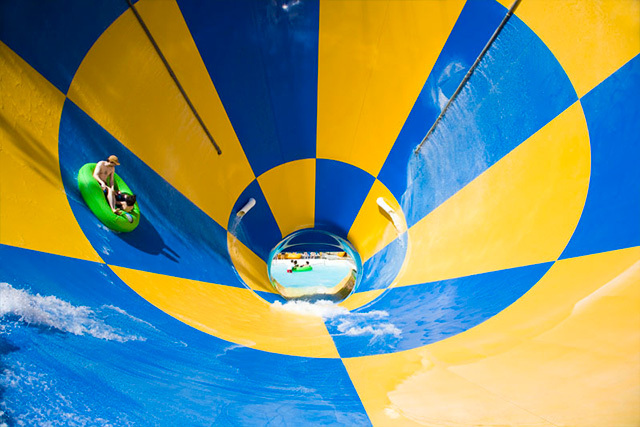 As part of the Six Flags family and the largest waterpark in the South, White Water draws thousands of visitors every year and has topped the list of best water parks in the country several times. With numerous water-themed rides, games and activities, this fun-filled amusement park is the ideal place for those seeking a way to cool down during the spring and summer. 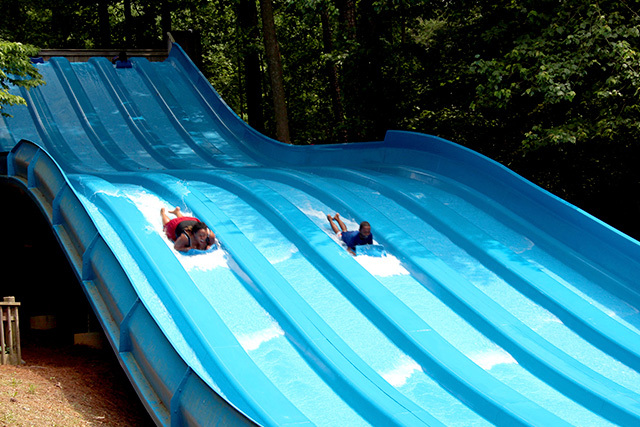 White Water is home to many of the best water rides in the Southeast. One of the most popular water slides is the Cliff Hanger which is one of the world’s tallest free-falls that drops nearly nine stories feet straight down. Another crowd pleaser is the Run-a-Way River, which sends riders down several hundred feet of winding tunnels at varying speeds and dips. One of the more adventurous rides is the Tornado, which drops visitors into a 60-foot-tall water funnel and 5,000 gallons of churning water. 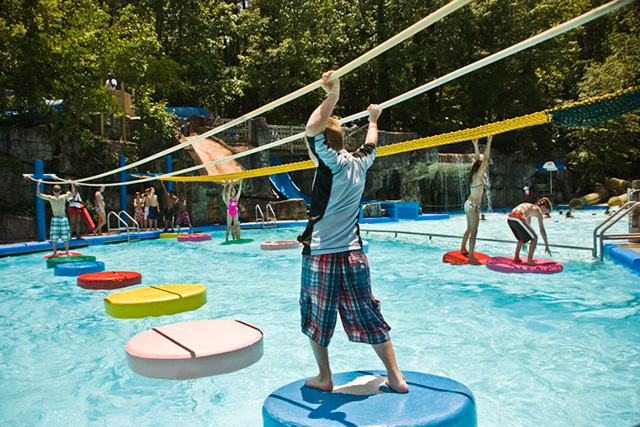 For those seeking family-friendly rides and games, White Water offers several fun-filled choices including the Little Hooch River (named after the nearby Chattahoochee River) which allows riders to lounge on their tubes and rafts while the water moves them around the park at a relaxing pace. 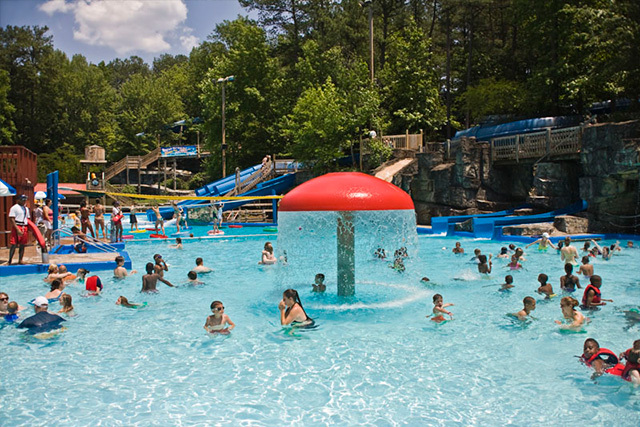 Near the Little Hooch is the Activity Pool, which is the ideal place for the families with small children seeking fun and adventure in a safe environment. 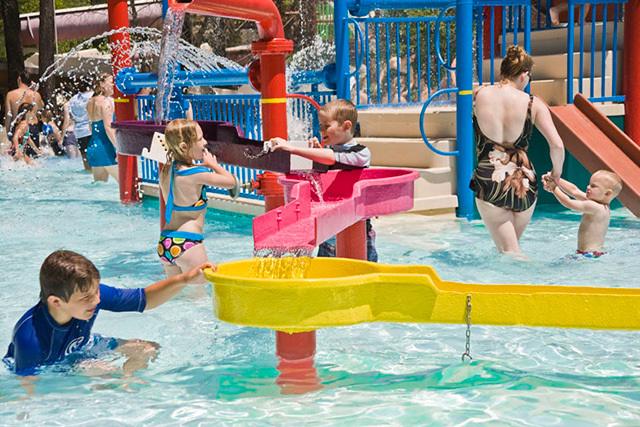 For the littlest visitors is Buccaneer Bay, a water park within a water park for the kids. Kids rides include Tree House Island, which is a four story dream tree house featuring chutes, bridges and a 5,000 gallon water bucket as well as Captain Kid’s Cove, which includes more than 100 interactive activities for kids 12 and under. 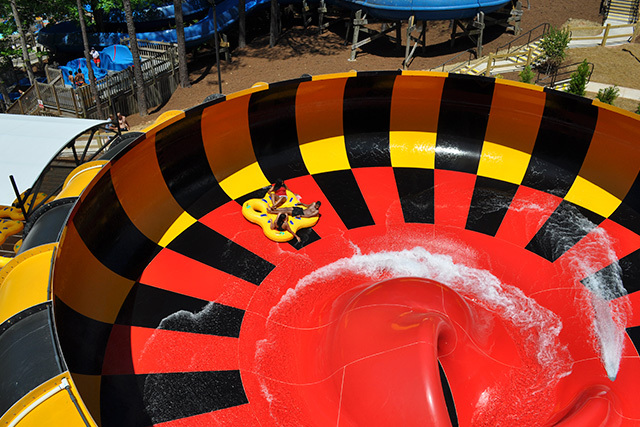 In addition to the great rides, games and activities available, White Water also provides visitors with the opportunity to simply lay back and relax while soaking up some sun. Grab a lounge chair and sit by The Atlanta Ocean Wave Pool, or hop in and enjoy the sun in a 700,000 gallon pool with four-foot waves. Just as in all Six Flags parks, there are a myriad of food choices available from pizza to ice cream to hot dogs and French fries. In order to commemorate the White Water experience, souvenirs and other mementos can be purchased at several gift shops and specialty stores which are conveniently located at the entrance/exit of the park. 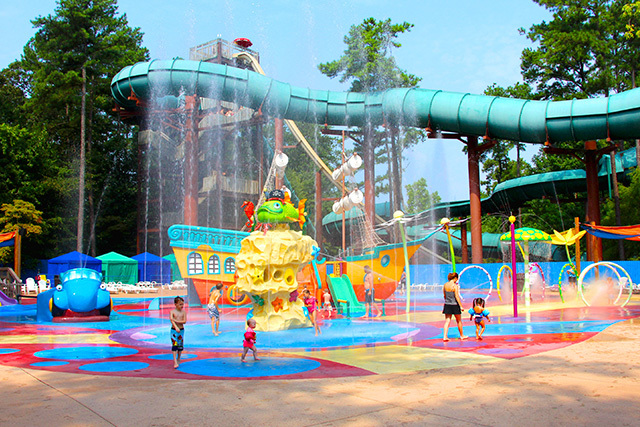 Atlanta is known for its scorching summers, so be sure to visit White Water to cool off and enjoy a family-friendly, fun-filled day in the sun. From I-75, take Exit 265 and follow the signs. 10:30 am to 6 pm or 7pm depending on the date. 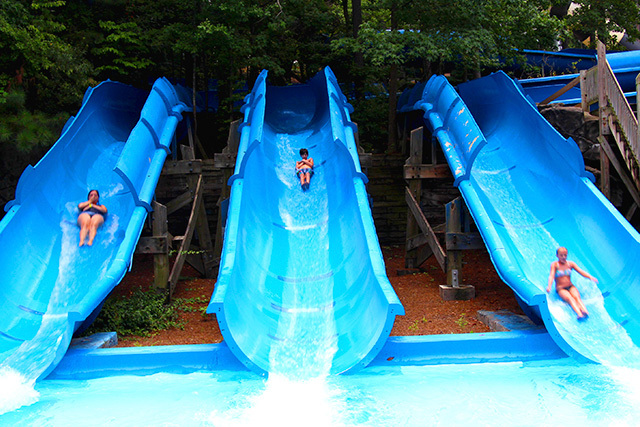 White Water opens for select dates in May, then every day in June and July, and select dates in August and September. Rides and activities may be suspended during inclement weather. If ride operations are suspended for more than one continuous hour due to weather, a rain check will be issued to guests who are exiting the park for the day. While White Water is a family-friendly destination, the park does not offer rental strollers. Space for baby-changing is provided in most restrooms. A private area for nursing mothers is located in First Aid. Lockers are available in various sizes for a fee. White Water is a smoke-free environment, however they do have one designated smoking area on a deck away from children and rides. No outside food (except baby food and special needs diets), beverages, or coolers are allowed in the park. No pets are allowed (except service animals). No lawn chairs or folding chairs, with the exception that umbrella-style canvas chairs are allowed. Beer and wine is sold in the park at JB’s Express, located near the Atlanta Ocean Wave Pool. Inflatables, including such items as rafts, flotation rings, “water wings”, and mats, are not allowed on any ride or attraction. White Water has lifejackets available, free of charge. There are several ATM’s located throughout the park. Wheelchair rentals are available in a limited quantity on a first-come, first-served basis.